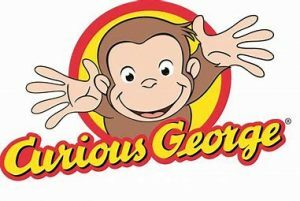 Curious George can teach us a thing or two! Research has shown that when we realise that there are gaps in our knowledge (of people, places, process etc) we feel curious and are motivated to seek out information or guidance to fill the gap. Often knowing a little of something can lead us to feel curious and with this it reveals what more there is to learn. Perceptual curiosity – “This is what we feel when we see something that surprises or puzzles us or doesn’t match up with something we thought we knew”. Epistemic curiosity – “This is our love of knowledge, our desire to learn new things. Our brain and our mind assigns value to this knowledge, so this is usually experienced as a pleasurable thing, with an anticipation of reward in the form of what we learn,”. However our interest in things, people, systems, processes diminishes over time…WHY? Part of this demise over time is related to the switch we seem to undergo as we begin to know enough to do our jobs. This is a switch from ‘perceptual curiosity’ – which comes with a willingness to take risks and an interest in many things (exploration), toward ‘epistemic curiosity’ a love for knowledge but perhaps in a more narrow field, where risk (and novelty) is reduced. It seems curiosity is an evolutionary purpose, whilst we are innately curious to ensure we survive perhaps once we have learnt enough to do so (within the work place) our desire to continually reach out and broaden our understanding diminishes for fear of getting things wrong. Who and what will you be curious about today?